The 18 meter long ferry Good Shepherd IV was rescued by the RNLI on August 5, 2014. The ferry which operates between Sumburgh to Fair Isle had suffered mechanical breakdown and had gone adrift off Sumburgh Head with 11 passengers and 4 crew on board. 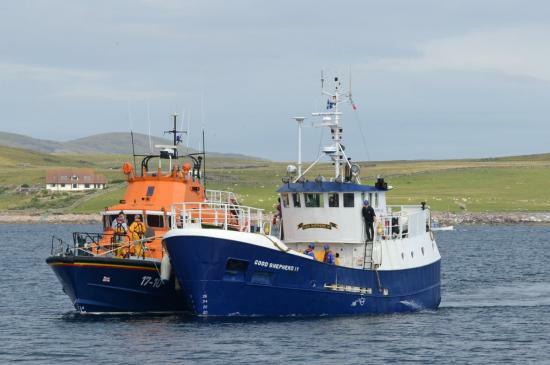 The vessel requested assistance and the RNLI lifeboat from Lerwick was dispatched to the scene. The lifeboat took the ferry under tow and proceeded to Grutness. No reports of injuries, damage or pollution released. 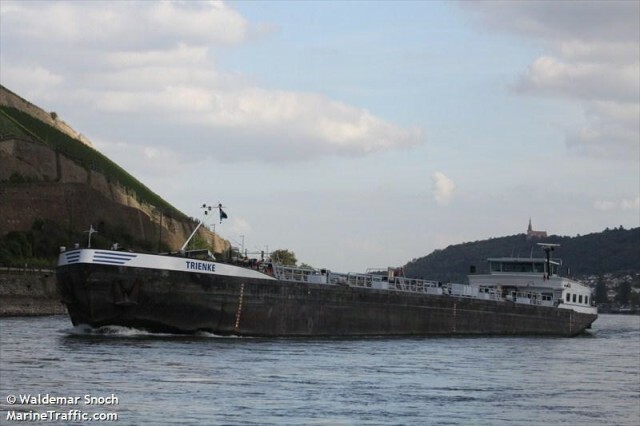 The 105 meter long self-propelled tanker barge Trienke ran aground on the Rhine River near Lorchhausen, Germany. The Trienke was en route to Biersfelden from Amsterdam with 2428 tons of diesel fuel when it suffered engine failure and became disabled. The tanker drifted outside the fairway onto a sandbar. Two lighters were requested to pump some of the cargo off the tanker before any salvage attempt is made. No reports of injuries, damage or pollution released.